Figure 1: Opening the Column Chooser from the context menu. 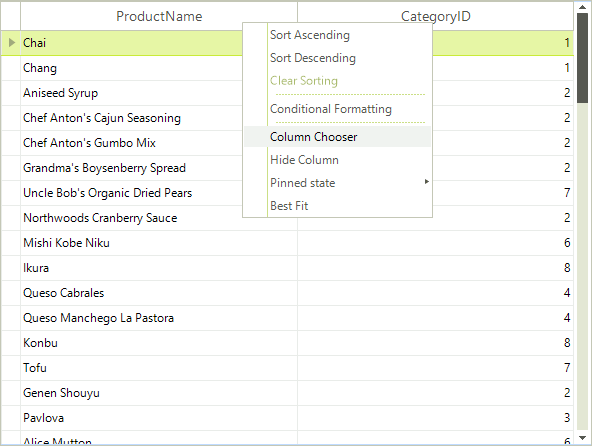 The user can then drag column headings to the Column Chooser window and drop them there. This will remove the column from RadGridView and will place it in the Column Chooser Window. Columns can be dragged back to RadGridView. Figure 2: Using the Column Chooser.